Includes Conchitas a la Parmesana, Chicken Empanadas, Arroz con Mariscos, Classic Fish Cebiche, Tres Leches Cake and hundreds more! Add some spice to your cuisine! From delicious dips to exotic entrees and desserts, The Everything Peruvian Cookbook is the perfect introduction to the latest culinary trend that is sweeping the food world. Peruvian cuisine is popping up in cities all over, and now popular food bloggers Morena Cuadra and Morena Escardo will teach you how to make these exciting dishes right at home! 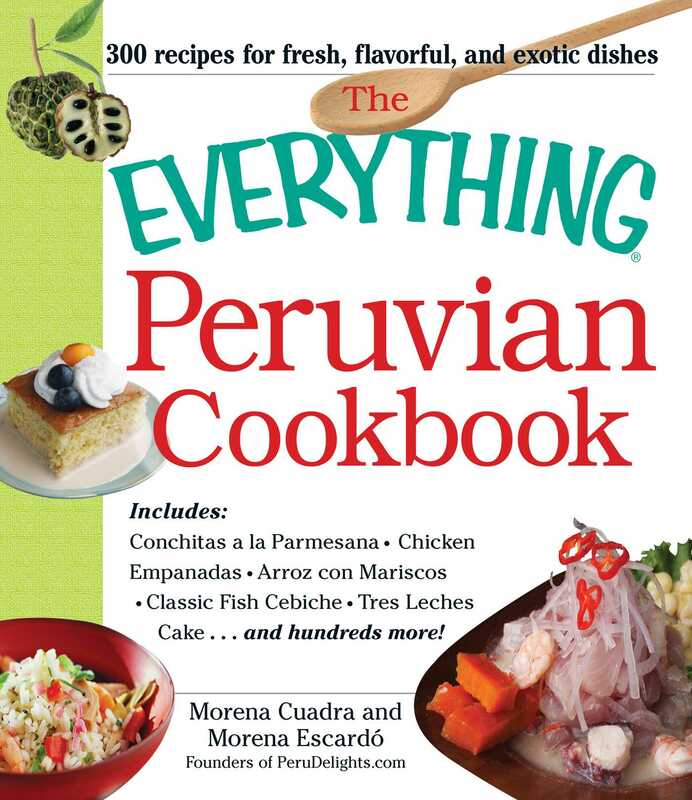 The Everything Peruvian Cookbook is filled with eclectic and unique recipes that come from the native Quechua culture, and Spanish, African, Japanese, and Chinese cooking traditions. With this cookbook on hand, your guests will be begging for seconds!